In light of the pending implosion of The Harmon, Vegas Inc. decided to list the Top 10 Vegas Strip Hotel implosions. 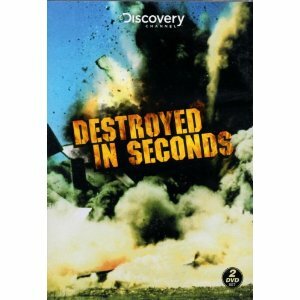 I love implosions and figured this was a good excuse to visit the youtube archives. I’ll grab video of these 10 Las Vegas Strip Hotel implosions, but we’re almost done. 🙁 We go to #2 on the list – The Landmark. In 1961, Frank Carroll purchased a vacant lot at Paradise Road and Convention Center Drive with the hope of building the Landmark. Carroll’s dream would not be completed until 1969, after a long series of mishaps. Carroll began construction when he received a $300,000 loan from a credit union. He hired California contractors to oversee the original 15-story project, and later doubled the size to 31 stories. The tower was 365 feet tall. In 1962, after being denied additional funding from the credit union, construction stopped and the building sat empty, just 80 percent complete. Construction resumed in 1966 after a four-year hiatus when $5.5 million was loaned to Carroll by the Teamsters Union Pension Fund. The tower was to be completed in 1967 and opened on New Year’s Eve of that year. However, Carroll once again ran out of money. He pushed back opening date until Howard Hughes purchased the Landmark in January 1969 and agreed to pay off Carroll’s loans. The hotel opened July 1, 1969, but couldn’t break out of its financial hole. In 1970, when Hughes left Las Vegas, control of the Landmark passed to Summa Corp., resulting in a $5.9 million loss. The Landmark passed from owner to owner suffering further financial loss. Still, it was featured in hit movies such as “Casino” and “Diamonds are Forever,” and hosted famous entertainers, including Frank Sinatra and Elvis Presley. After the start of the megaresort era of Las Vegas, the Landmark became too expensive to keep open and it closed Aug. 8, 1990. The Las Vegas Convention and Visitors Authority debated the future of the Landmark, which remained vacant in 1994. Some wanted to restore the casino and others wanted to demolish it. Those in favor of demolition won. The Landmark was imploded Nov. 7, 1995. Footage of the implosion used in the film, “Mars Attacks.” The property ended the way it began, as a vacant lot, now housing overflow parking for the Convention Center. For the next couple of weeks I’ll grab video of these 10 Las Vegas Strip Hotel implosions. We go to #3 on the list – The Sands. The seventh resort on the Strip opened Dec. 15, 1952. It was designed by architect Wayne McAllister. The Sands opened with only a few hundred rooms. Through the years, it passed through the hands of several Las Vegas land tycoons, including Howard Hughes, who purchased it in the mid 1960s. Hughes added an iconic 500-room circular tower designed by architect Martin Stern Jr.
Other owners included Howard Hughes, who purchased it in 1988, and, in 1989, the Interface Group, which included Sheldon Adelson. The original “Oceans 11” movie was filmed at the Sands in 1960. The film — including Frank Sinatra, Dean Martin, Sammy Davis Jr., Joey Bishop and Peter Lawford — inspired a meeting, known as the Summit at the Sands, and united the stars, known worldwide as the Rat Pack. Along with “Oceans 11,” the Sands was featured in “Con Air” and “The Cooler.” In 1996, Adelson closed the famous resort and imploded it to make way for the Venetian. Good thing Matt Goss isn’t at Palms any longer or George Maloof may not be able to tell people that he’s the Chairman of the board a la Frank Sinatra. George Maloof sheds (spins?) a little more information about TGP Partners owning 98% of the Palms in a Vegas Inc. interview today. What about all of the speculation that Caesars Entertainment is taking control of the Palms? When TPG got involved (with Caesars Entertainment) a couple of years ago, speculation was now that they own part of Caesars Entertainment, Caesars would own part of the Palms. But that’s not true. It’s not at all true. It’s never been true…..
….Do you still have full authority to run the Palms? I’m in a management agreement, you could say, as chairman of the board of the Palms. I still have that authority. I’m a skeptic by nature and while the Maloof’s have run Palms since they built it I still find it hard to believe that TGP won’t have Caesars take some part of management of the property at some point. It would be really interesting to see the Maloof face working with the Caesars brand. It doesn’t mix today, but it may make both stronger in the long run. Maybe he chose the words “Chairman of the board” as some kind of a subliminal message (I know that’s a stretch). 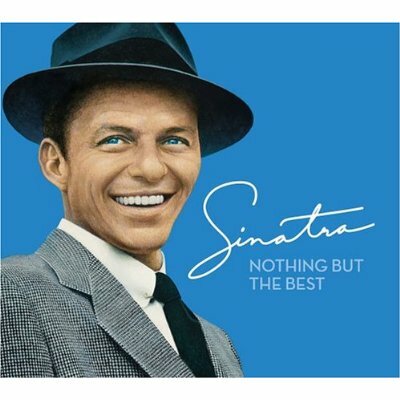 Frank Sinatra "Nothing But The Best"